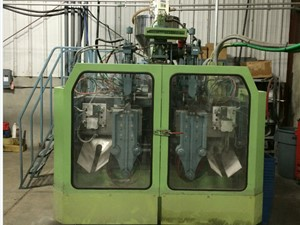 Continuous Blow Molding Machines can be subdivided into Rotary Wheel and Shuttle. 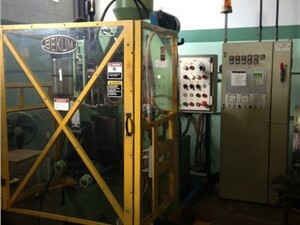 Continuous blow molding is typically necessary for high production runs for a large output of product. In this process the screw is continually turning and pushing out plastic. 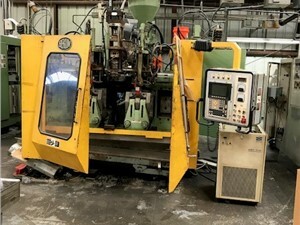 As the plastic parison moves in a constant stream, the molds move to meet it and clamp over the section and move away, allowing for the next mold to do the same. The molds either are a shuttle clamp and move to the side or are on a wheel that spins either horizontally or vertically. 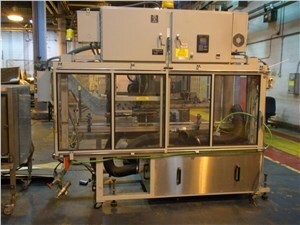 Typical applications for continuous blow molders would be industrial bottles, food packaging and consumer bottles.